As a wedding vendor located in downtown Red Bank, New Jersey, Hurricane Productions has had the pleasure of DJing, photographing, and filming tons of local weddings in the Monmouth County area. Because we're so close to the coast, waterfront venues are popular among our couples, but not every New Jersey couple wants a beach wedding. 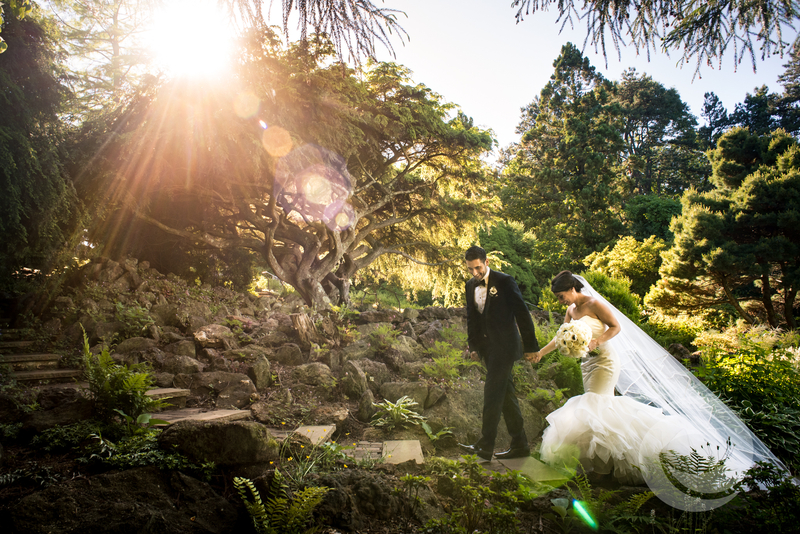 Whether you're looking for an upscale restaurant, a beautiful banquet hall or a sprawling country club, this part of the state offers a wide selection of picturesque places for engaged couples to celebrate their marriage. In alphabetical order, here are nine Monmouth County wedding venues we love. Located in the Radisson of Freehold, New Jersey, the Crystal Ballroom is an elegant and convenient venue for your Monmouth County wedding. Hold a romantic outdoor ceremony with the hotel's beautiful fountain in the background, then bring up to 300 guests right inside for cocktail hour and your reception. This private golf course and club in Neptune can accommodate up to 400 guests in its three gorgeous ballrooms, all of which offer breathtaking views of the course. 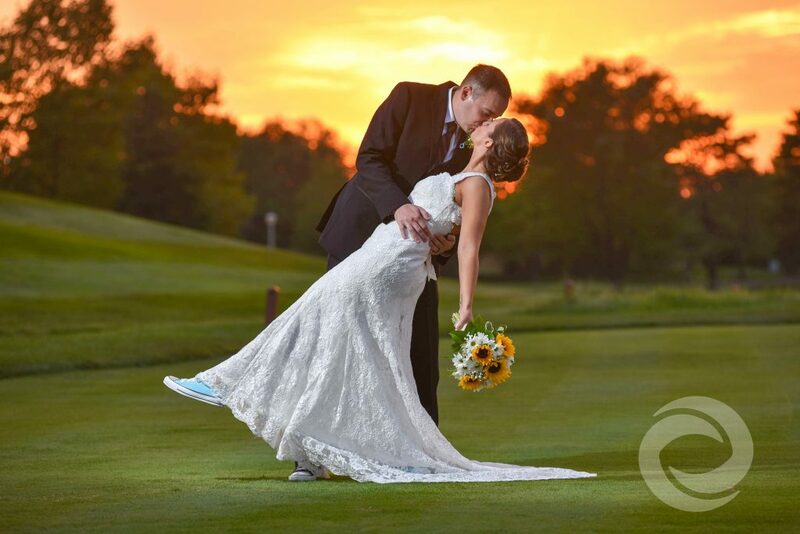 Jumping Brook Country Club only hosts one wedding at a time, so you and your fiancé will truly feel like the day is yours. This venue advertises a kosher wedding menu option, as well as accommodations for traditional Indian weddings, including spacious dressing suites and locations for Barat and Mandap ceremonies. This Red Bank landmark is right in our own backyard, a short walk from Hurricane Productions headquarters. The Molly Pitcher Inn overlooks the Navesink River, which can be viewed from the Ballroom. Take your ceremony and reception outdoors on the Inn's tented promenade to fully appreciate this stunning wedding day backdrop. 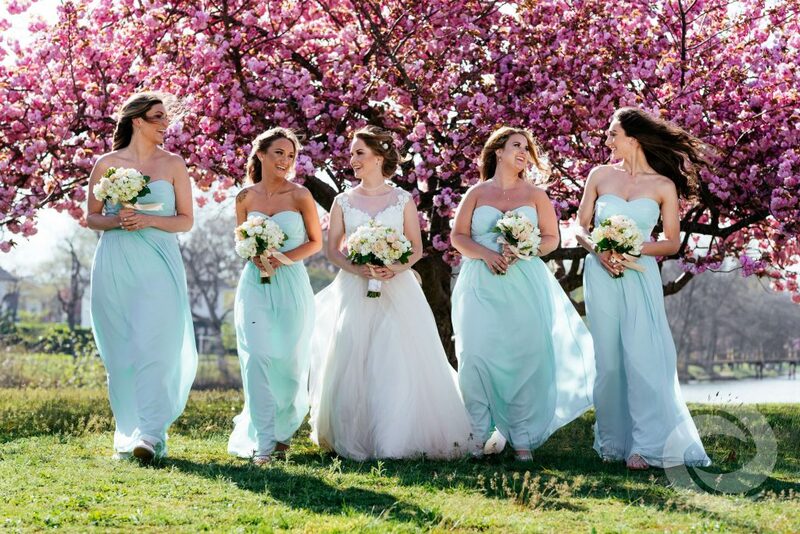 Molly Pitcher Inn offers discounted room blocks for your wedding guests, as well as packages for rehearsal dinners and post-wedding breakfasts. Another Red Bank waterfront favorite, the Oyster Point Hotel is the sister property of Molly Pitcher Inn. This recently renovated boutique hotel offers the option for an indoor ceremony, as well as two beautiful event spaces for up to 220 guests. You may also choose to get married outdoors on the Navesink River bank before heading inside for cocktail hour and reception. Although it's located right off the busy Route 35, Shadowbrook at Shrewsbury is truly a hidden gem, tucked away behind tall, shady maple trees and beautifully landscaped grounds. You will feel like you've been transported to another era when you celebrate your special day in this historic mansion, which dates back to 1910. Shadowbrook makes the venue exclusively available for couples celebrating their wedding, so you and your guests can privately enjoy its scenic outdoor ceremony location and elegantly decorated ballrooms. At the Spring Lake Manor, you'll find a private outdoor courtyard complete with a fountain, intimate spaces for your cocktail hour, and a newly renovated ballroom that fits up to 350 guests. At the end of your reception, you can reserve The Grille Room – a bar with music and a flat-screen TV – for a fun and relaxed afterparty. Spring Lake Manor also offers catering services if you'd prefer to have your wedding offsite. Inside the DoubleTree by Hilton Tinton Falls, you'll find the Sterling Ballroom, a modern venue that offers everything you need for your wedding day. You can hold your outdoor ceremony under the property's beautiful white pergola, surrounded by lush trees and flowers. Then, enjoy cocktail hour, dance the night away at the reception, host an afterparty, and wake up the next morning for brunch – all in the same location. 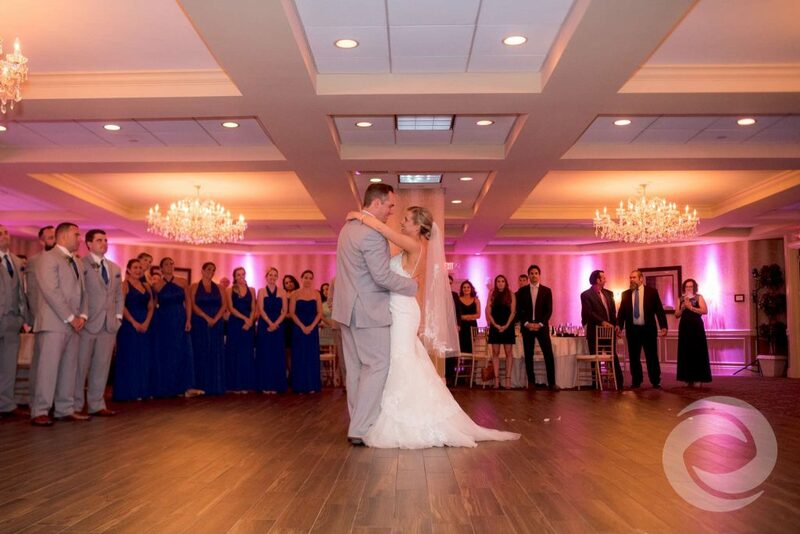 Sterling Ballroom accommodates up to 225 guests and hosts one wedding at a time. The Mill Lakeside Manor, part of the Clarks Landing family of venues, offers a serene and picturesque location for your big day. 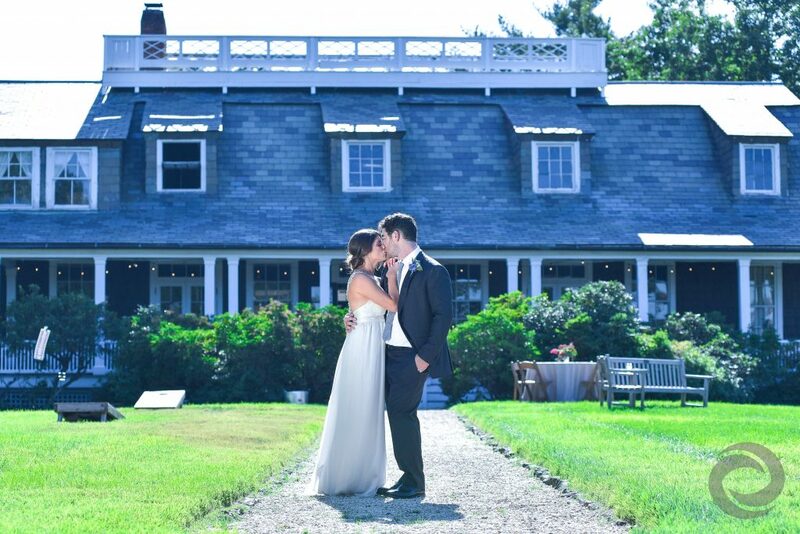 The rustic, natural backdrop of Old Mill Pond is ideal for wedding portraits, but inside the property's stately 18,000-square-foot venue, you'll get the "sophisticated feel of an elegant estate manor." 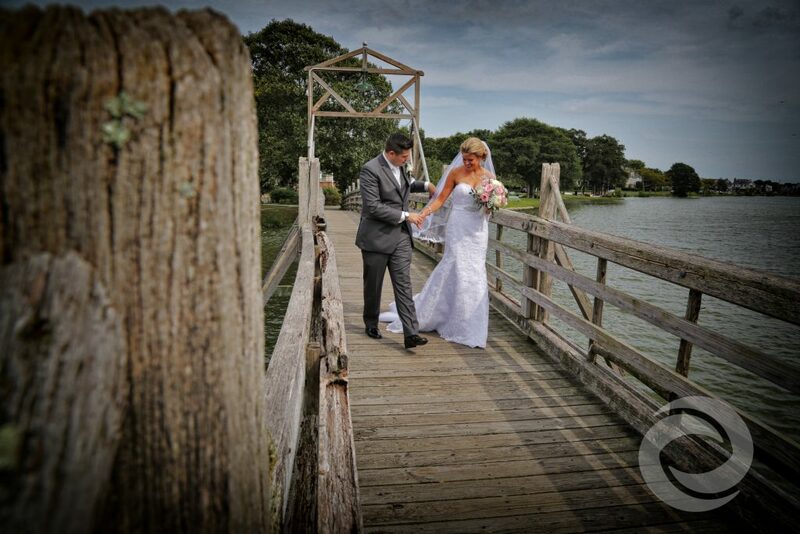 The Mill Lakeside Manor hosts one wedding at a time to give you and your guests exclusive use of the grounds. Choose from the Waterview Room, an atrium-covered deck with plenty of natural lighting and lake views, or the tranquil Garden Area for an intimate, outdoor summer wedding reception. Looking for a unique wedding location with historical charm and an air of exclusivity? The Water Witch Club, a preferred venue of Falco's Catering, sits on Monmouth Hills, one of the highest points of the eastern seaboard. You and up to 150 guests can celebrate in the Clubhouse while you enjoy a variety of beautiful views, including the Sandy Hook bay, the Atlantic Ocean, and the New York City skyline. The Water Witch Club only hosts 12 weddings per season (April through October), so you'll need to act fast if you want to book this one-of-a-kind venue. Getting married in Monmouth County? Let Hurricane Productions be a part of your special day. Visit our pricing page to learn more about our wedding entertainment and media services.